It was a lazy, hazy, snowy morning here at the Grammar Goddess abode; the dogs were sleeping, and I was lazily gazing out through the snow-covered windows to the snow-covered trees, when suddenly I realized it’s TUESDAY! Yikes. I hadn’t posted my Tuesday Tricksters yet! 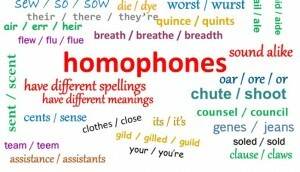 So, while it’s still Tuesday, here are my traditional five pairs of words known as homophones, words that sound the same (or nearly so, anyway), but are spelled differently and mean something different. 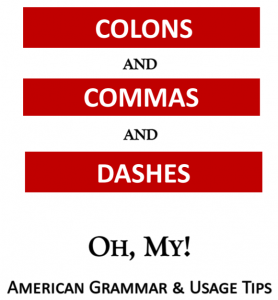 Spellcheck loves them, but many writers don’t — especially the ones who forget or don’t know how these words can trip them up. Don’t be like those writers. Were any of these new to you? I hadn’t realized that mil is a real word. ← Networkers: Are You Guilty of “Premature Solicitation”?